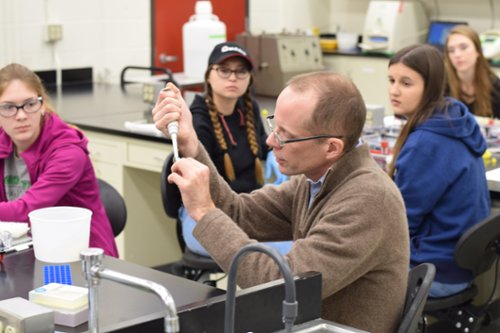 The Department of Biology was delighted to welcome students from the Upward Bound (UB) Program for six afternoon lab sessions during the month of July. This marks the third summer that faculty, students, and staff have volunteered for this activity. We’re hoping to make it a summer tradition.